Every time I visit Jaipur I am convinced that it is not merely a city with historical significance. It is indeed a timeless poetry written in royalty, or an artist’s masterpiece, or probably a narrator’s passionate penchant for storytelling. Jaipur is delightfully mesmerising and I somehow seem to be always attracted to this one city time and again. The last time I visited Jaipur was back in 2016, seems like a really long time. 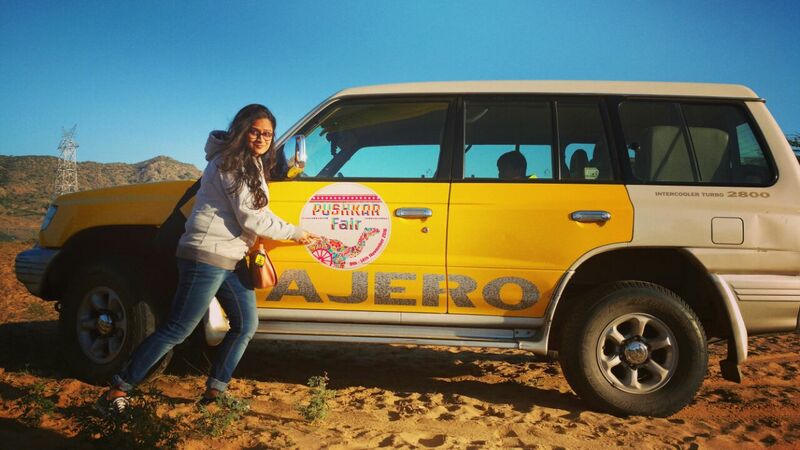 I was returning from Pushkar after attending the Pushkar Camel Fair and taking a pitstop at Jaipur felt like the best thing to do after witnessing the mayhem at Pushkar. I have been to Jaipur couple of times before and therefore have done most of the touristy things that people go there for. However, now I visit Jaipur mostly to enjoy a guilt-free shopping spree. 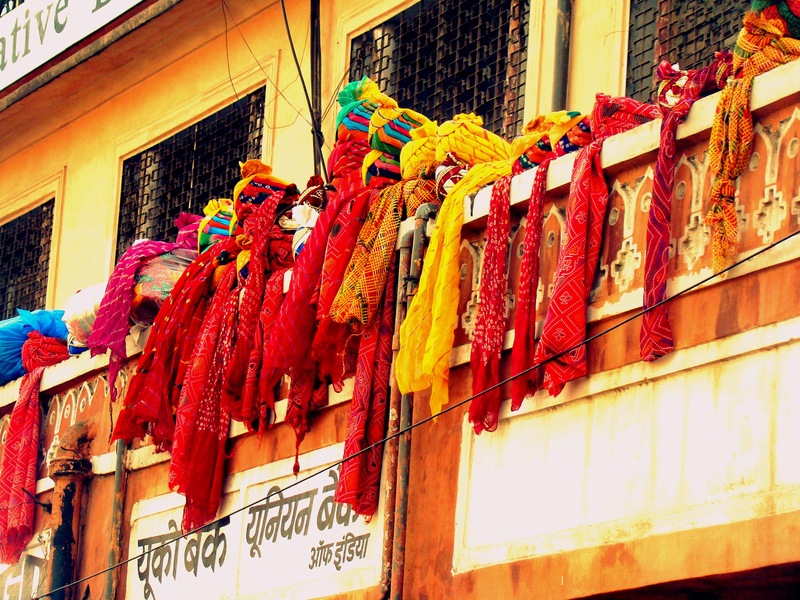 Jaipur probably has the most colourful markets in the entire country. In fact, that can be true for the entire Rajasthan. Wandering through the streets of Jaipur in itself is a visual treat. The beautiful architecture of the buildings, the aroma of the food stalls, the colourful paraphernalia displayed at the shops across the markets, the constant chaos and still the breathtaking beauty that Jaipur exudes keeps calling me for more. 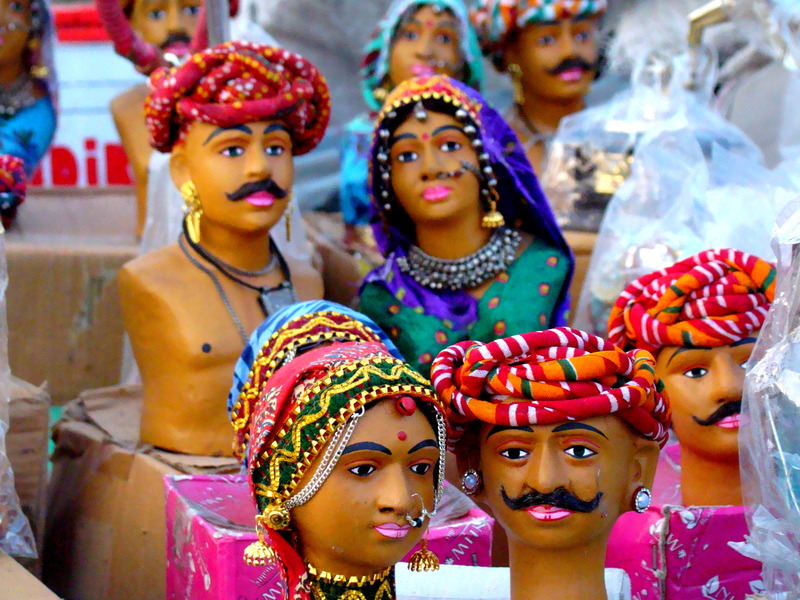 The magic of colourful and vibrant markets in Jaipur. 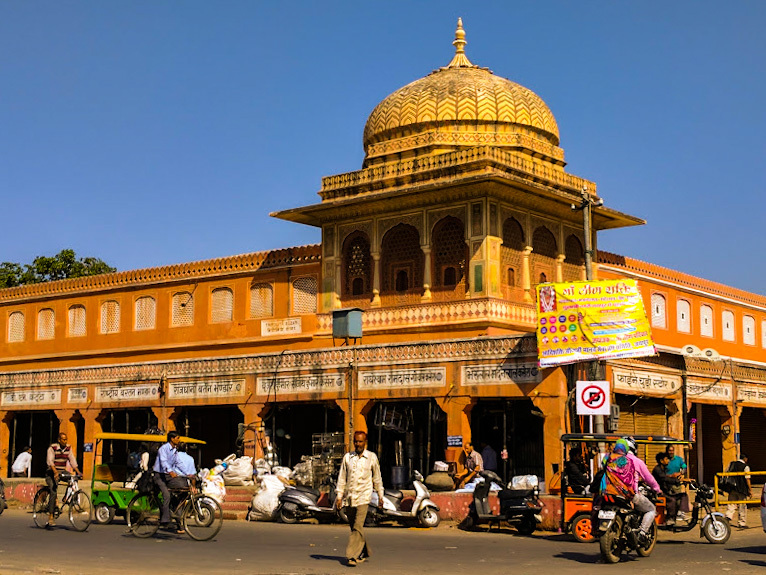 My stay in Jaipur was a brief one and the twist to the story was that I was travelling during the ongoing demonetisation hiatus in the country. All of a sudden on 8th November 2016, all the news channels across India telecasted the news of demonetisation leaving the entire country into a frenzy. I was supposed to travel to Pushkar on 9th November’16 and here I was, carrying a bunch of cash that was invalid. 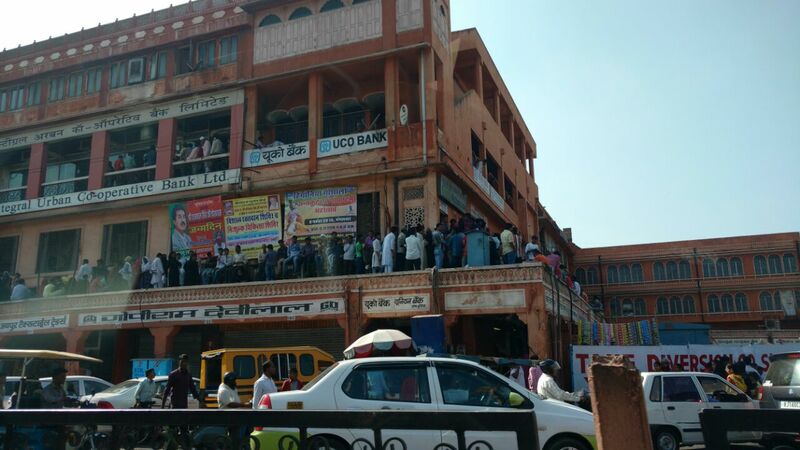 The ATMs were overcrowded and suddenly there was a major cash crunch throughout India. 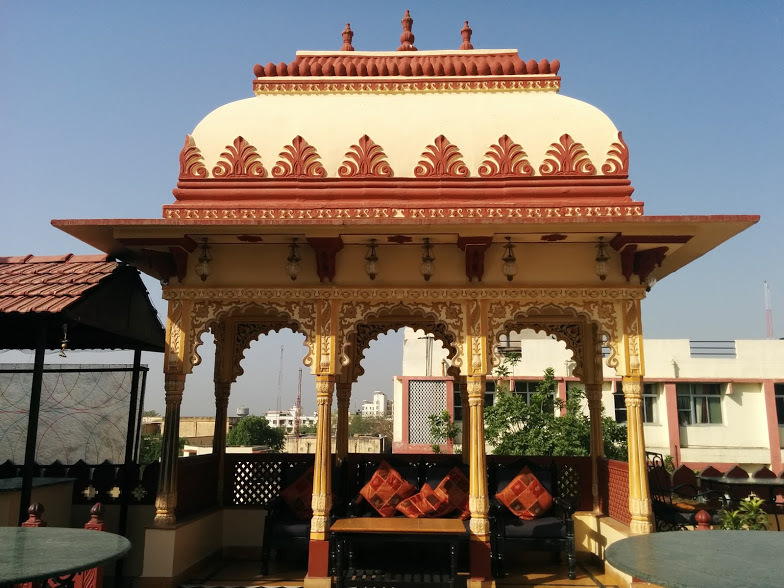 I had to book my accommodation in Jaipur and so my choice of hotel had to be a budget-friendly option. That is when I came across the Treebo chain of hotels in India. 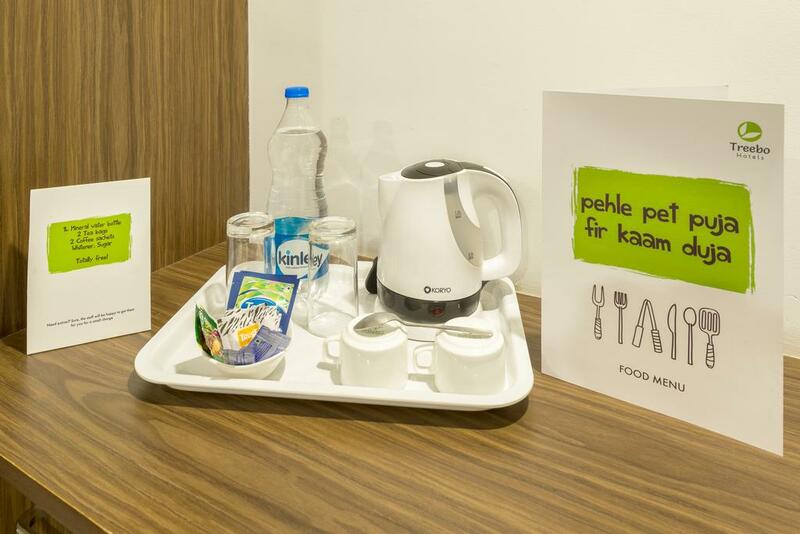 The Treebo Hotels are an exemplary choice for accommodation if you do not want to spend too much but yet desire a cozy, comfortable and quality stay anywhere in India. I, therefore, zeroed in on Treebo Aroma Residency located at Bani Park, Jaipur. The payment was made online through their website and I was good to go even while carrying very limited cash. Bani Park is close to the city attractions and is easily accessible by public transport in Jaipur. You may plan a day’s itinerary comprising of the Birla Temple, Amer Fort, City Palace, Hawa Mahal, Jantar Mantar and the Albert Hall Museum. What you must not miss when in Jaipur is the delectable Rajasthani cuisine. My personal favourite is the Chokhi Dhani where apart from the cuisine of Rajasthan you will get to experience rural life of Rajasthan in its absolute glory. 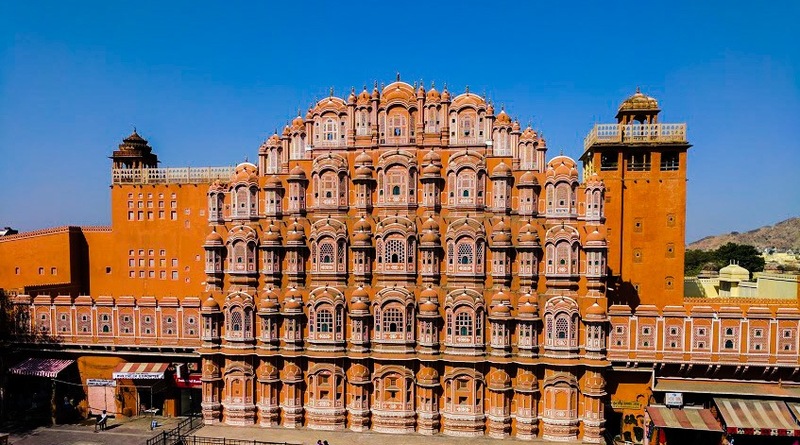 You may also like to read 5 Reasons why Jaipur should be you next weekend getaway. However, my itinerary this time comprised of some shopping at the Bapu Bazaar. Vibrant and chaotic at the same time, this particular market is where you will find everything from bangles to jhumkas to exquisite jewellery, footwear, clothes, amazing handicraft and the famous Jaipuri quilt. After my hectic rendezvous with a numerous shopkeepers and hours of constant haggling and bargaining, I decided to retire back to the Hotel with my purchase of the day. Treebo Aroma Residency is nothing extravagant but is tastefully done. I loved the interiors and the quirky little punch lines they use are extremely witty and a fun read. Treebo derives its inspiration from the Bo or the Fig Tree beneath which Lord Buddha attained enlightenment. They have taken this inspiration to whole other level that is evident in the fact that a lot of subtle green hues have been incorporated in the interiors to create that lush ambience. The toiletries, cushions and sometimes the walls are also green. The amenities include free wifi, complimentary wholesome breakfast and a group of courteous and friendly staff. My stay may have been a brief one but I strongly recommend Treebo Hotels in Jaipur if you are travelling on a budget but do not want to compromise on quality. I am sure with the extra savings that you make with Treebo bookings, you can definitely indulge in some more shopping. 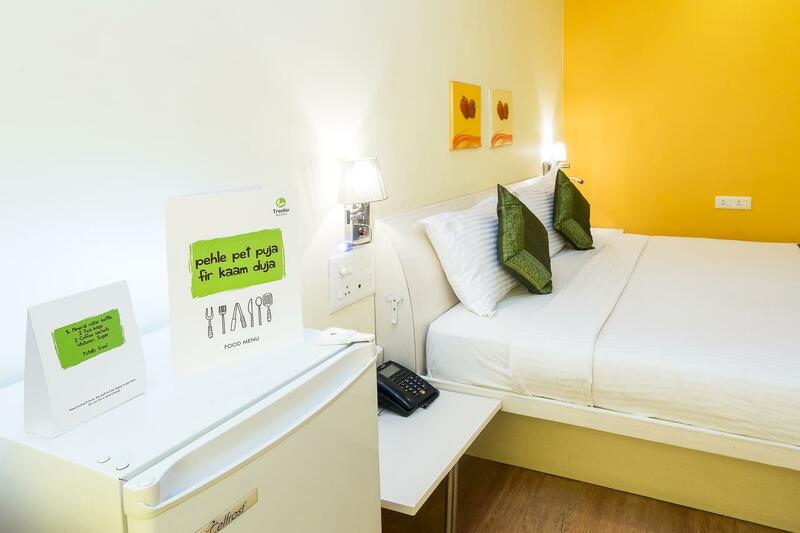 Do you also prefer budget-friendly yet luxurious accommodation while travelling? Let me know in the comments below until then let me just plan my next travel to the Pink City and daydream about the glittery bazaars. The images belong to Ayandrali Dutta, A wanderess by passion and a wordsmith by profession. Visit her blog Wanderlust Craving for a healthy dose of wanderlust. BTW I stalk her and she is my inspiration.